As I am sitting in a dimly lit room, a light bulb went off! I shouldn’t be throwing away my burnt out and seemingly useless light bulbs. I should be re-purposing them and creating something fun and decorative instead. There are actually numerous light bulb crafts that are easy to complete and result in unique decor for your home. I came up with a list of ideas that will save you from throwing away your bulbs and provide you with plenty of crafty inspiration. Just click on the photos to got to the tutorials for these fun crafts. 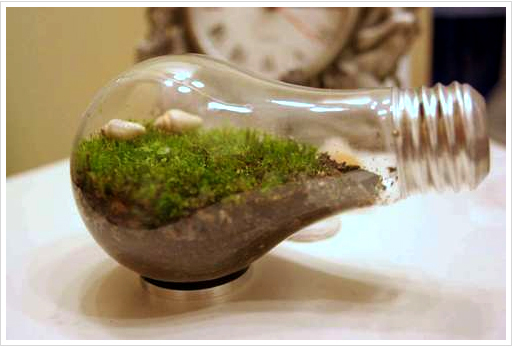 Light bulb terrarium by Green Wala. Light bulbs make the perfect containers for miniature terrariums. These little landscapes make great desk or tabletop decor and the light bulb container adds a little bit of whimsy. 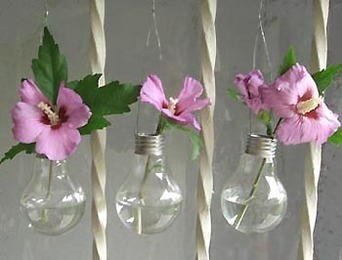 Light bulb vases by Care 2. Tiny hanging vases are another unique and decorative use for old light bulbs. The look is so delicate and sweet. Light bulb lamps by Instructables. 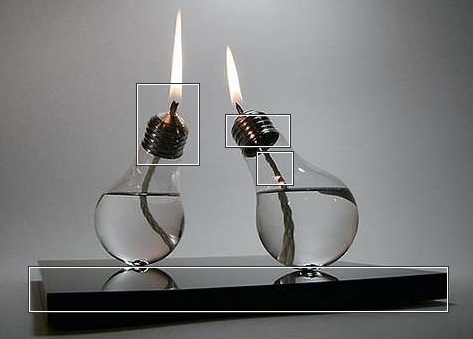 Oil lamps are easy to make with an old light bulb as the base. Not only are they useful but they look cool too! Light bulb vase by Ginger Snap Crafts. 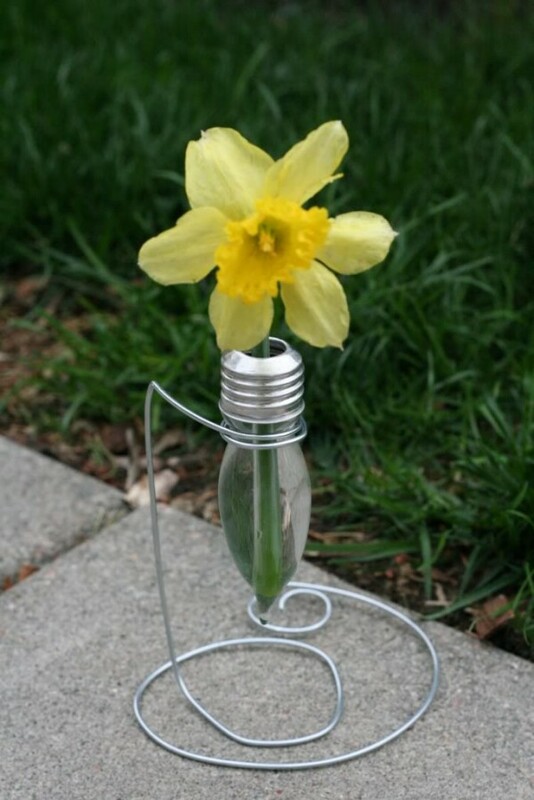 Here is another take on a light bulb vase using a smaller bulb. I love the wire stand! 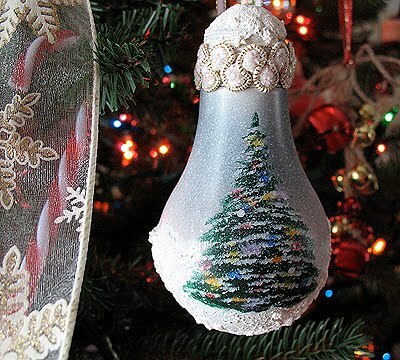 A light bulb is the perfect size for making Christmas tree ornaments. You can either embellish the outsides with paint, glitter or snow-tex or fill the insides with pretty ribbon, pearls or beads. Light bulb pears by 906 E. Chic. And finally, I just love these fun pears made from light bulbs! It is just a matter of wrapping the bulbs in twine and adding a small branch for a stem! You could even add a little clay to the bulb, before wrapping, to play with the shape some more. Great post. Love the first and the last one. Thanks for the link! 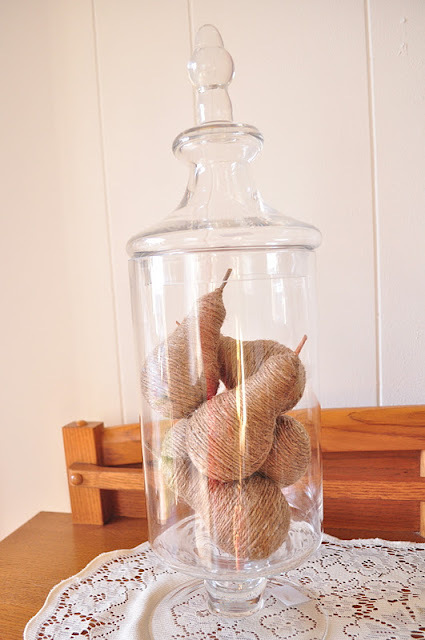 The light bulb pears are so easy to make and look so chic anywhere in your home! I searched for what to do with my used light bulbs. nice ideas!